Out of stock since Monday, 21 January 2019. Due back soon. Dry food is often used as a mixer with wet food or as a topper, therefore Naturediet have developed a complete dry food that mirrors the ingredients of their standard wet food range. Naturediet Sensitive contains no artificial preservatives, colourings or flavourings. We use only freshly prepared salmon, and only salmon. Naturediet Sensitive is formulated without wheat gluten. Our vegetables are carrots. Suitable for all types of adult and senior dogs. Naturediet Puppy-Junior contains no artificial preservatives, colourings or flavourings. We use only freshly prepared chicken and freshly prepared turkey, and only chicken and turkey meats. Naturediet Puppy-Junior is formulated without wheat gluten. Our vegetables are carrots. Using only the highest quality natural ingredients, Naturediet Chicken & Lamb is a delicious menu containing all the nutritional requirements for your dog to remain healthy. As with all Naturediet food, this menu has a high content of freshly prepared meat blended with high grade ingredients to produce a naturally wholesome and tasty meal for your beloved dog. 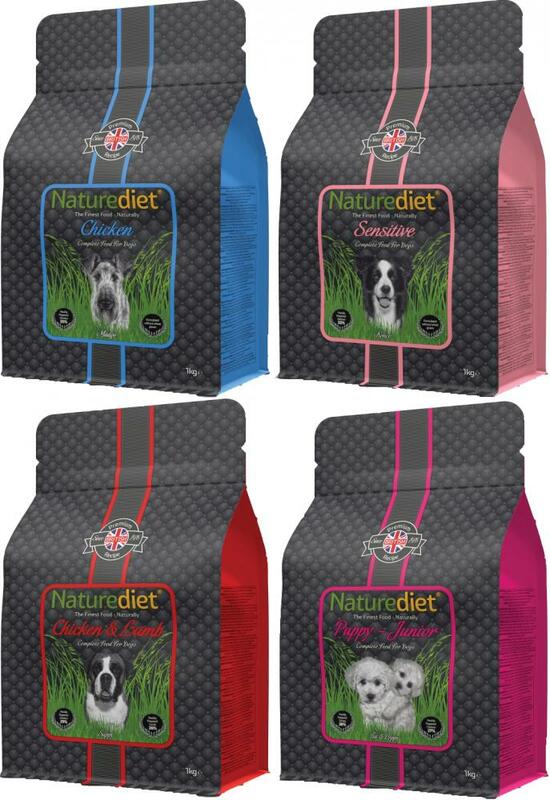 Naturediet Chicken & Lamb contains no artificial preservatives, colourings or flavourings. We use only freshly prepared chicken and lamb and only chicken and lamb. Naturediet Chicken & Lamb is formulated without wheat gluten. Our vegetables are carrots. 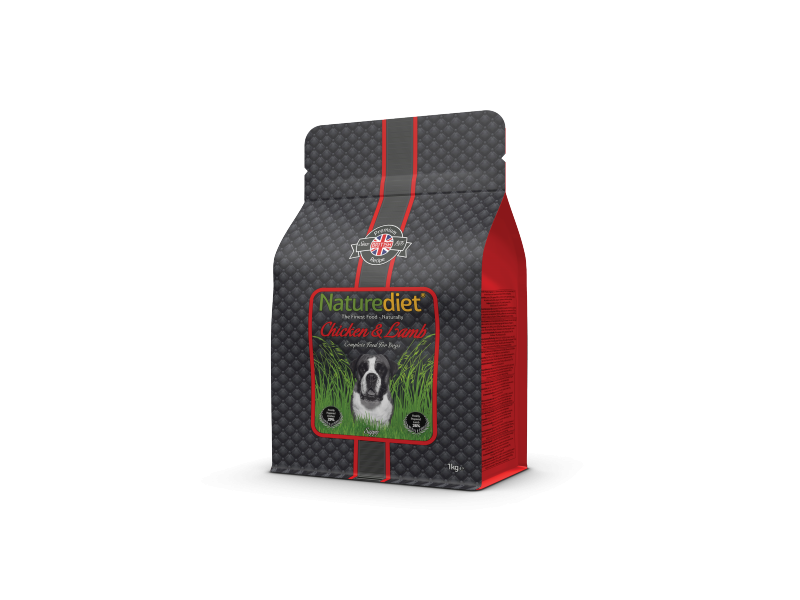 Using only the highest quality natural ingredients, Naturediet Chicken is a complete dry feed containing all the essential nutrients your dog needs for a healthy diet. This white meat menu is highly palatable and is suitable for adult and senior dogs as well as those with a sensitive digestion. Naturediet Chicken contains no artificial preservatives, colourings or flavourings. We use only freshly prepared chicken and only chicken reducing the risk of allergy. Naturediet Chicken is formulated without wheat gluten. We only use rice as a carbohydrate source. Our vegetables are carrots. There are currently no questions for Naturediet Dry Food - be the first to ask one!